What kind of VBS are you doing this summer? Enjoy seeing how others do their VBS' ! 1. When is your church holding its "VBS-like" program this summer? 2. 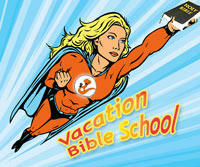 How are you resourcing lesson plans for your VBS? 4. When will your VBS (or VBS-like) program meet? 6. How many times does your VBS-like program meet this summer? This question asks how many times you'll meet whether you are meeting five days during one week, or on a certain day/evening across the summer, one hour or several. 6. What's the "main" target audience for your VBS-like program? We all love visitors and friends, but who is your program mainly designed to attract? The children and families/adults of our congregation. Outreach to the surrounding neighborhood, needs of children. Trying to grow our church, become known in the community. 7. What is the registration cost to participants? Yes, we have a meal. No, we do not have a meal. 9. 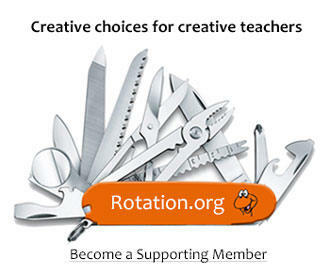 Would you be interested in seeing a "community written" VBS created here at Rotation.org? Yes, I'd like to see that. Maybe, that's an interesting idea. 10. Last but not least... Do you think your VBS-like program is worth the effort? This is a loaded question! Select the answer that most closely resembles your thoughts, and please feel free to add additional comments in the "explanation" question. In the middle of all the preparations and perspiration, we all wonder about cost vs benefit. "Cost" can mean actual dollars or time spent. "Benefit" is subjective as well. Some churches are looking for something to benefit their families during the summer, while others expecting to evangelize neighborhood kids or grow their church may see cost vs benefits differently. Yes, definitely the effort is worth the benefits. Sometimes I wonder if the effort is worth the results. No. I don't think the effort is getting us the results we hope for.